When I was in elementary school, I attended church with a friend quite often. I now know that she attended a Pentecostal church, totally flamboyant and outwardly charismatic! To me, a child around the age of 10 or so, this church was both fascinatingly addictive and terrifying all at the same time. They danced in the aisles, laid hands on you and prayed, probably even spoke in tongues (but I had no idea what that was back then). I was always scared that the minister was going to walk down that red carpeted aisle and point me out as I shrunk in the pew hoping not to be seen. I was afraid that he would lay his hand on me, pray, and then I would fall to the ground laughing. They sang catchy songs that stuck in my head yet I didn’t understand like, “Power in the Blood”. I felt something at that church that I acknowledge now as the pull of the Holy Spirit. “Frighteningly amazing” is how I would describe it now. Don Williams says “The gift of the ‘charismatic worship’ to the church has been functionally to restore the Holy Spirit to our services. Charismatic worship, then, finds its source in the Father, is mediated through the Son, and is empowered and led by the Spirit.” 1 I experienced this at my friend’s church. I remember some talk of Jesus but what sticks with me is that I felt and met the Holy Spirit there. We’re created to respond in worship. I feel as if this is how worship is intended to be. A time and place where individually or corporately we can meet with God to experience His presence and to respond to Him in love the way we were created to. 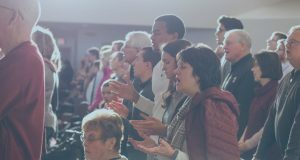 Not just in song, but the whole experience—singing, praying, hearing the Word—as a collective whole called worship. I believe that the types of worship are as numerous as there are believers. Four different people singing “The Great I Am” are singing and worshiping four different ways in that moment with their attitudes and hearts. 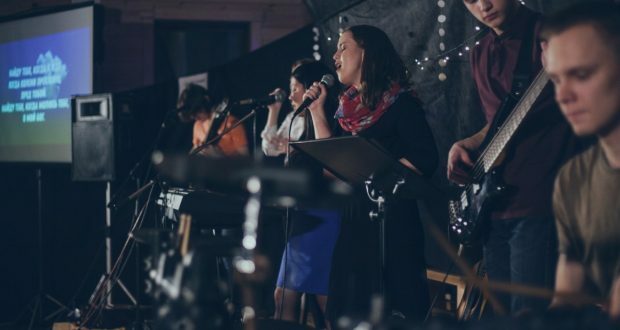 Corporate worship in song helps Jesus-Followers bond. When it comes to worship music, the grand scene plays in my mind of Revelation 4. Gathered around the throne of God doing nothing else with life other than singing my praise and admiration to my Father (insert heavy sigh). Can you imagine? I can. Research has shown that when playing music and singing with others, our brains release a chemical called oxytocin. It has also been called the “trust molecule” and the “moral molecule” because it helps us bond to others. Isn’t God amazing? So, when we worship together with music and singing, all of our brains together are kicking out this little molecule that helps us bond to not only God but one another. One could say that we cannot help but worship together—it’s how God designed us. In Revelation 4 there isn’t one person at the throne singing to God. There is a group singing in one accord, “Holy, holy, holy”. God intended our worship to draw us together into His throne room to offer Him praise. Worshipers and worship music are diverse. The single hardest part of leadership? Making everyone happy at the same time. And at the top of the “make happy” list for church leaders everywhere is the type of music to be sung on Sabbath. No church is immune to the change in the eras. 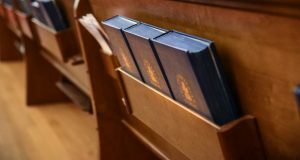 The wave of contemporary music over the past years has some yearning for the good ol’ days of the hymns, some to the point of anger over selling-out to pop culture. I believe there is a happy medium. I witness it each week as my congregation comes together to praise and worship God, not ourselves. We have a beautiful mixture of old and new to help each person and generation connect with the presence of God. This is where our leadership has recognized that we are a body of diverse people. God made us that way on purpose! Different in our makeup and personalities, yet the same in belief. There is nothing more amazing than believers of all ages coming together to sing “How Great Thou Art”. Personally, I am a contemporary music lover. But there is nothing like that hymn being sung. It warms my heart and connects me to God like no other song ever has. Yet, when I sing it alone, it does not have the same effect. We have a reason to sing together! Let me state the obvious: God loves music and singing. Scripture informs us of that. Even more, God loves to hear His creation singing together, to and for Him. Examples of this are all throughout the Bible. 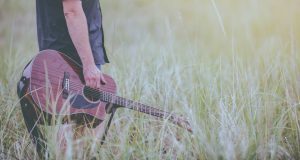 David, a man after God’s own heart was a musician, singer, and song writer. Scripture denotes that God loves to be sung to (Revelation 4). Paul says to encourage one another by singing David’s great hits (the Psalms) to one another. So why do we still sing together? Because we are God’s children and we have a reason to sing. Revelations states that even after we have been in the kingdom for ten thousand years we will still have reason to sing His praise together. Whether we are singing a hymn or a chorus, whether we are 19 years old or 70, God is the God of every generation. He does not hear contemporary or traditional, drums or organ. God hears the heart of every believer lifting their voice to Him. As leaders of the church today, we need to lead others by example to the throne room of God. Worshiping without abandon, whatever song is being sung, because it is not, nor has it ever been about the song. It has and will forever be about God connecting to His children through our praise to Him. Andrea Slawson is a current student at Artios Christian College with an emphasis on Associates of Christian Leadership. God has blessed her life with an amazing husband, Bruce, and two spectacular sons Andrew and Adam. Home maker by trade, faithful Jesus lover in life. Alongside Bruce, they love and devote their time not only to God, but to their local young adults helping them to come to maturity in Jesus and weather the storms of this life. She lives in Owosso MI.